This program is approved for in-state tuition on the Academic Common Market. 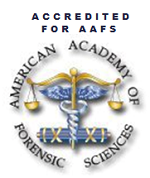 The Forensic Chemistry Concentration provides a strong foundation in chemistry and laboratory techniques if you wish to pursue a career in crime labs in both the public and the private sector. It is also possible to double major in this option and the B.S. Chemistry, Chemistry concentration which will provide increased opportunities in the job market. Career opportunities may include positions in drug, toxicology, trace evidence, arson and firearms sections of state, federal and private crime laboratories. Due to the strong chemistry background, you are also well suited for positions in related fields such as chemical technicians in environmental, pharmaceutical and biotechnology laboratories. 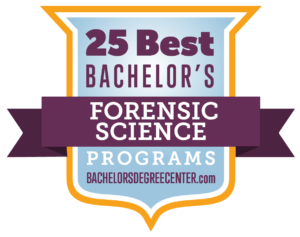 The Forensic Biology Concentration offers a strong core academic curriculum in Chemistry, but also offers a sound background in the biological sciences, making it the perfect option if you are interested in DNA and biology work. Career opportunities may include positions in DNA and biology sections of state, federal and private crime laboratories or as technicians in environmental, pharmaceutical and biotechnology laboratories. Students and advisors should review the Student Planning Guide each year. It contains guidance for what is expected each year of the program.